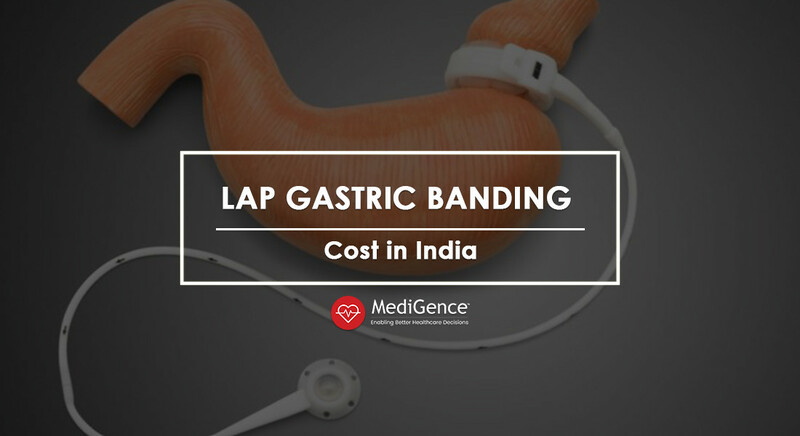 Lap gastric banding in India is a popular surgical procedure for weight loss in patients suffering from co-morbid obesity. It is one of the least invasive and safest weight loss surgery. People who undergo lap gastric banding in India start to lose weight almost instantly after the surgery. It is estimated that patients lose as much as 30 to 40 percent of their excess weight after undergoing lap band surgery. Lap gastric banding in India is a popular surgical procedure for weight loss in patients suffering from co-morbid obesity. It is one of the least invasive and safest weight loss surgery. People who undergo lap gastric banding in India start to lose weight almost instantly after the surgery. It is estimated that patients lose as much as 30 to 40 percent of their excess weight after undergoing lap band surgery. The availability of best weight loss surgeons and affordable lap band surgery cost make foreign patients seek treatment in India. In addition, the presence of certified and authentic bariatric surgery hospitals immediately make patients opt for lap gastric banding in India. It is estimated that lap band surgery cost in India is at least 60 top 70 percent of the treatment cost in the Western countries. While the lap band cost may vary from one city to another, the difference in the cost still persists. 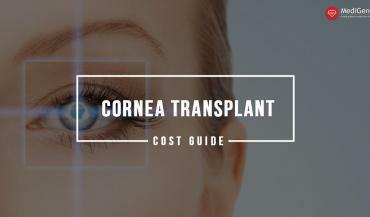 Despite the low cost of lap band surgery, patients can be sure of the quality of treatment. Medical tourists from abroad nowadays prefer to opt for all-inclusive medical packages offered by medical tourism agencies and companies. 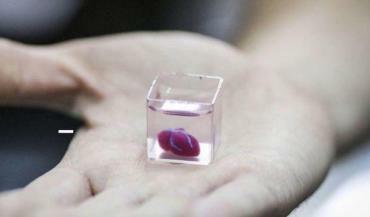 These packages include the cost of treatment, accommodation, and boarding. In addition, there are several other free benefits such as local travel arrangement, airport transfer, visa assistance and 24X7 helpline. Since lap band surgery is a non-critical procedure, it can also be combined with a leisure trip. The medical travel companies in India offer attractive packages to patients traveling for non-critical procedures. Such packages include a short leisure vacation before the surgery to a nearby tourist destination. Lap band surgery is a popular procedure when it comes to remarkable weight loss. However, the percentage of guaranteed weight loss differs from one patient to another. 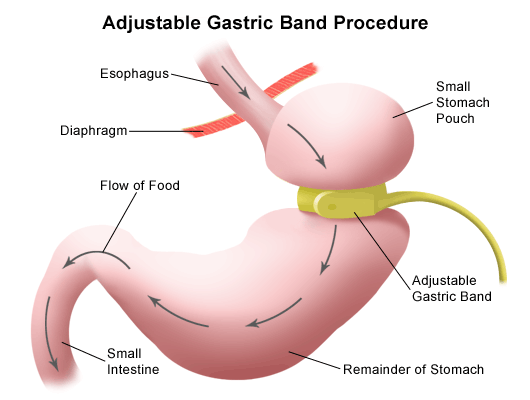 Lap gastric banding in India involves the use of an adjustable band, which is also known as gastric band or lap band. This band, mostly made of silicone, is an inflatable structure. During the lap band surgery, it is placed around the top half of the stomach. This creates two halves of the stomach – a smaller half and the larger half. The new smaller half of the stomach now has much less capacity. Because the person now eats much less than before because of reduced capacity, weight loss starts to take place. Reduced appetite: a Decreased capacity of the stomach restricts the amount of food that a person can eat at a time due to an early feeling of fullness. Decreased storage: The smaller portion of the stomach is now able to hold much less portion of food at a time. Lap gastric banding surgery is different from gastric sleeve operation, which is another weight loss procedure. In gastric sleeve operation, a large portion of the stomach is stapled to create a banana-shaped sleeve. Therefore, sleeve operation results in the creation of a small pouch through which the food passes. The reduced size of the stomach results in suppressed hunger and less production of the hunger hormone called ghrelin. Adjustability for improved weight loss: Surgeons can actually control the rate at which the patient loses weight after the surgery. The lap band around the stomach is placed through a stoma, which can always be controlled externally. Thus, the rate of weight loss can be increased and increased after lap band surgery. Easy reversibility: Lap band surgery is not a permanent procedure. The surgeon can remove the band after months or years of the surgery when no longer required. 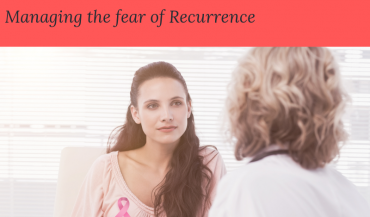 Wonderful results: A patient can expect to experience as much as 40 to 50 percent loss of excess weight within the first 12 months after the surgery. 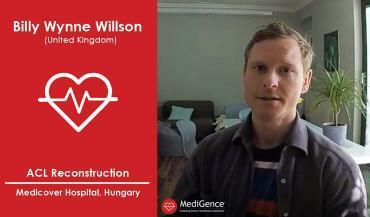 Quick recovery: The patient recovers as quick as less than two days after the surgery. Lap band surgery is conducted with the help of a special instrument called a laparoscope. Such a surgery sometimes referred to as “keyhole” incision surgery. It offers several benefits over open surgery, including shorter recovery period, minimal healing time and minimized risks after surgery. During laparoscopic lap band surgery, the surgeon makes two to five small incision around the abdomen. These incisions make it possible to insert the laparoscope and other instruments. The surgeon secures the deflated gastric lap band tightly around the stomach. The lap band remains connected to a tube that has an opening just below the skin of the patient. The surgeons use this opening to inject saline into the gastric band, which inflates the band while constricting the stomach. Similarly, the surgeons use the opening to withdraw saline as well, thus deflating the band. Lap band surgery lasts for over a period of 40 to 60 minutes. You must stay in the hospital for at least two to three days after the surgery. Medical tourists should plan for at least a 10-day stay to avail lap gastric banding in India. 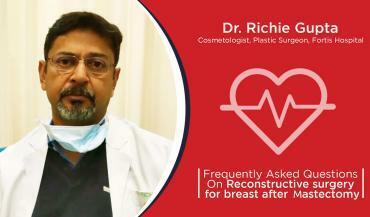 You may expect to feel a little uncomfortable during the initial few days after the surgery. However, this discomfort lasts for over a period of a few days. Recovery after lap band surgery is rather quick as the patients are able to return to their normal routine within the first 10 to 14 days. You must follow the instructions given by the surgeon about activities and certain foods to avoid. To facilitate quick recovery, it is advised that you follow the guidelines given by the nutritionist. Conducting specific activities may lead to cramping and nausea. You must contact the doctor immediately in case of any side effects or complications. Exercising must be avoided for at least first six months after lap band surgery. 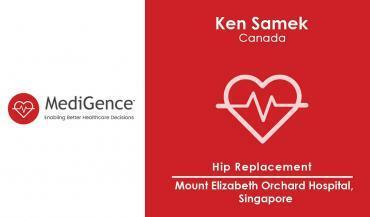 Lap band surgery cost varies from one country to another. The lap band cost is usually high in the Western countries such as the US, UK, Russia, and the Arab nations. On the other hand, the lap band surgery cost is cheap and highly affordable in Asian countries, specifically in India and Thailand. Despite the low cost of lap band surgery in these countries, the quality of treatment is still maintained. Lap band cost in India is one of the lowest in the world. The world applauds India for offering no risk and high-quality weight loss surgical treatment. The best surgeons for weight loss surgery in India help achieve positive results while making the patient understand the limitations of the procedure. Certified quality: The best hospitals for weight loss surgery in India are certified by domestic and international bodies such as National Accreditation Board for Hospitals and Healthcare Providers (NABH) and Joint Commission International (JCI). These certifications are proof of fact that the hospitals maintain highest quality standards. Cost savings: Lap band cost in India is one of the lowest in the world. 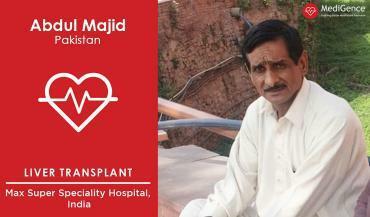 By traveling to India, a medical tourist typically saves 60 to 70 percent of their lap band surgery cost. Tailored packages: The best hospitals in the country offer attractive treatment packages, tailored as per the individual needs. The hospitals assign a personal case manager to each patient. The case manager creates a personalized treatment plan that best suits the needs and requirements of the patient. Medical tourism companies: The availability of several credible and certified medical tourism companies in India further make things easier for the patient. Such companies take care of all your extra needs – from negotiated rates to discharge, inland transfers, appointment booking, and medical visa approval. 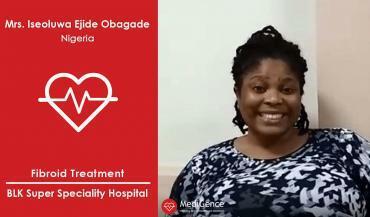 Basic facilities: MediGence helps in the arrangement of a medical visa, to and from the airport service, accommodation, meals, appointment with the surgeon, lab tests etc. 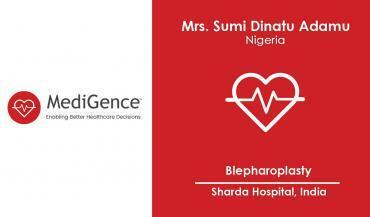 Qualified panel: MediGence has a network of the best surgeons and hospitals, providing supreme healthcare in India. Affordable: What is the Smile Makeover Surgery Costs in India? The expenses incurred in the entire travel for the smile makeover surgery in India are nearly 30% of that in most Western countries..
Professionalism: We maintain the highest ethics in providing the treatments and the procedures are followed with transparency.